Sandcastles Noosa is located on Hastings Street in Noosa Heads on the Sunshine Coast, just over an hours drive from Brisbane. This Noosa accommodation has a prime position with direct access to beautiful Main Beach, an array of bars, restaurants and cafes and boutique shopping just a short stroll away. 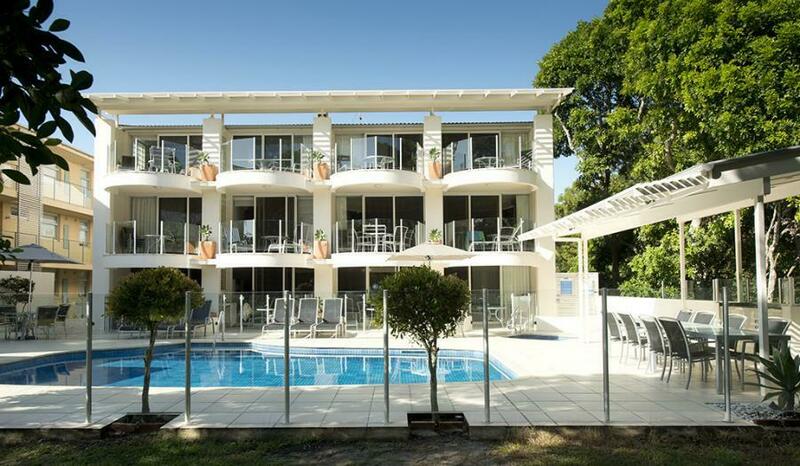 Sandcastles Noosa is a 3 level resort offering guests a choice of 1 & 2 Bedroom Apartments. Each apartment is spacious and self contained, with a private balcony to take advantage of the beautiful outlook, either towards the beach or into the woods. Open plan rooms and fresh, modern decor set the scene for the holiday lifestyle. Right outside your door is Main Beach, where you can swim safely with the children in the calm waters of Laguna Bay, or relax on the beach and soak up the sun. Enjoy a stroll along Hastings Street and go shopping, enjoy a coffee at one of the many cafes or relax and enjoy a picnic in Noosa Woods. At Sandcastles Noosa you can enjoy a bbq with friends and family in the outdoor area beside the pool, or relax on your apartment balcony and watch the sun set over Double Island Point. As Sandcastles Noosa is located at the end of the street, you feel more secluded and private, yet are still very much amongst all that Hastings Street has to offer. 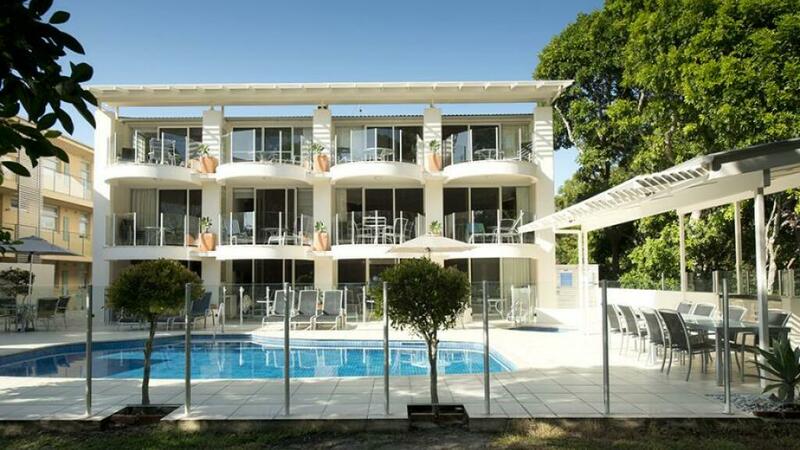 This affordable Noosa Resort is the perfect choice for your next Sunshine Coast holiday. 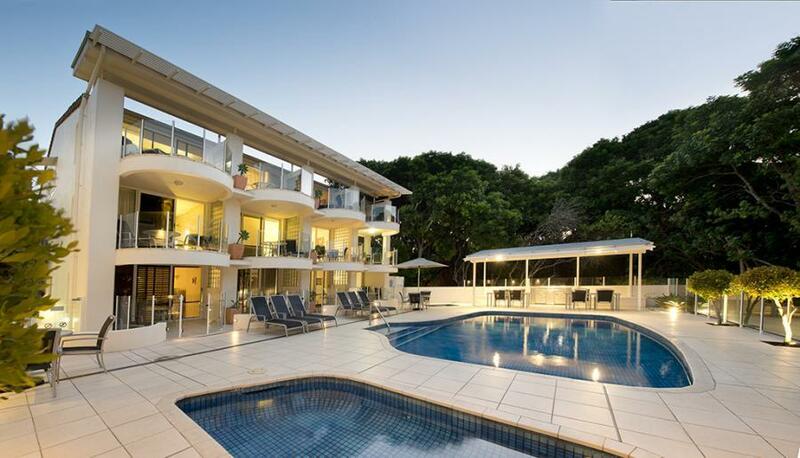 Sandcastles Noosa offers guests a choice of 14 spacious self contained apartments situated on three levels. 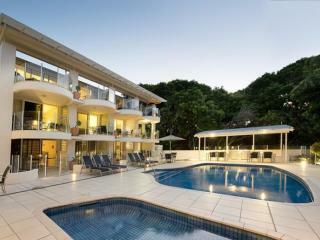 All apartments have a large balcony, with 12 overlooking the beach and 2 have views of Noosa Woods. 1 Bedroom Beachfront Apartment: Bedding is 1 Queen Bed. Maximum room capacity for Adults & Children is 3. 1 Bedroom Beachfront Loft Apartment: Bedding is 1 Queen Bed + 2 Single Beds. Max room capacity for Adults & Children is 4 (Not suitable for children under 5 years). 2 Bedroom Parkside Apartment: Bedding is 1 Queen Bed + 2 Single Beds. Maximum room capacity for Adults & Children is 5. At Sandcastles Noosa take advantage of the fully equipped kitchens in every apartment, and enjoy your meals overlooking the beach. Alternatively, there is a vast array of restaurants, bars and cafes all within a short stroll from Sandcastles Noosa.